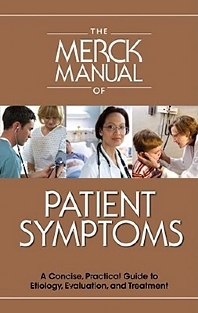 This compact, convenient and thorough reference guide, created in the great tradition of so many other Merck Manuals, enables users to quickly find information they need to evaluate, diagnose and treat patients. Professionals will appreciate its conciseness, reliability, and portability, and students will love how it helps them make the transition from textbook knowledge to practical experience. It's published in a handy, durable paperback format, presented in 2-color for clarity and attractiveness, pocket-sized at 4 3/4 inches by 7 1/2 inches.